Today is the 100th anniversary of the sinking of the RMS Titanic, by far the most famous shipwreck in history. To honor this, I will countdown the deadliest shipwrecks ever. The numbers next to the ships’ names are the number of victims. I have only included those which occurred in peace time, and not as a result of a war. On July 24th, 1915, the SS Eastland set off from the Chicago River to cross the Great Lakes and end up at a picnic in Michigan City, Indiana for a tour. 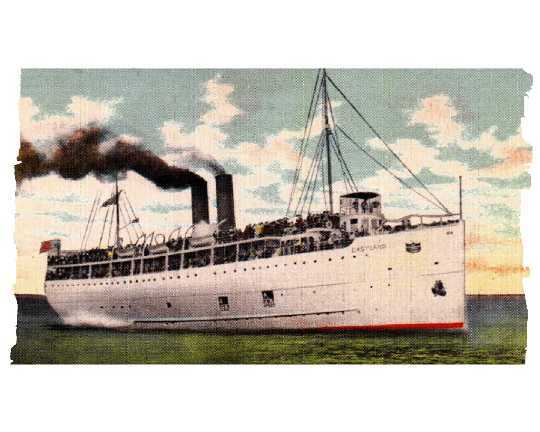 The ship was overloaded, with over 2,000 passengers, many of which were Czech immigrants. The boat was ironically made unsafe by new safety regulations brought in after the sinking of the RMS Titanic. A certain number of lifeboats and other small vessels were required, making the ship top-heavy. When too many passengers rushed to the port side, on that day, the entire ship rolled over. Hundreds were killed either by drowning as they were trapped inside the ship, or by being crushed by pianos and other heavy furniture. One of the deadliest maritime disasters of the 20th century, the MS Estonia’s sinking was caused by the massive bow doors of the ship not being properly closed. On September 28th, 1994, the boat left the country for which it was named, heading for Stockholm, Sweden. When it was about 25 miles from the shore of Finland, a loud bang was hard as a wave hit the bow doors. The ship then began to lean to its starboard as water flooded in. The rushing water prevented people in the cabins from reaching the deck, so the of the 989 passengers, the only ones who survived were those who were already on the decks. Actually built in Scotland, the RMS Empress of Ireland left Quebec City, Canada on May 28th, 1914. The next day, the ship collided with a Norwegian collier as it navigated down a channel in Quebec. The dense fog of the early morning hours was blamed for the crash. Sadly, only 4 children of the 148 on board survived the accident. The ship’s cat, Emmy, because famous as she had never missed any of the ship’s previous 95 voyages. However, on the day the ship left, the cat refused to climb aboard, until the crew eventually gave up and left her on the dock. 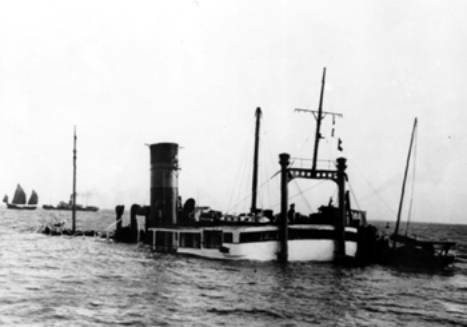 General Slocum, a steamboat, went through numerous mishaps in its first five years, including multiple collisions with both sandbars and other ships. However, all of the accidents paled in comparison with what would happen on June 1st, 1901. The boat was chartered to take members of an Evangelical Lutheran church the Little Germany district of Manhattan. A fire started not long after the ship set off, but the captain only realized what was happening 10 minutes after the blaze had started. A 12 year-old boy had tried to warn him immediately, but the captain refused to listen. By then it was too late, and only about 300 people would survive. We all know the story behind the RMS Titanic. You may actually be surprised to see it outside of the top five of this list, considering how famous it became. Some of the wealthiest people in the world left Southampton, England on April 10th, 1912, heading for New York. The ship had been called “unsinkable” and was the largest ship afloat at the time. But five days later, the did, in fact, sink, after hitting an iceberg. 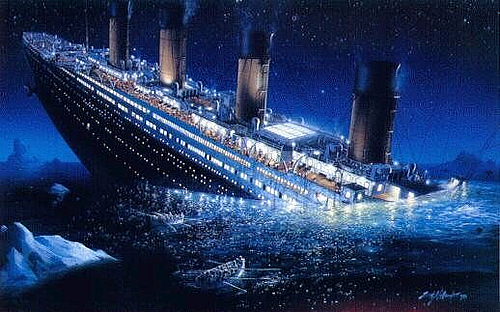 The Titanic slowly sank into the ocean, bow-first. 710 people were able to survive, in most cases by being one of the first to reach the lifeboats. Several hours later, another cruise liner arrived, responding to the distress call, and the survivors were taken to New York. 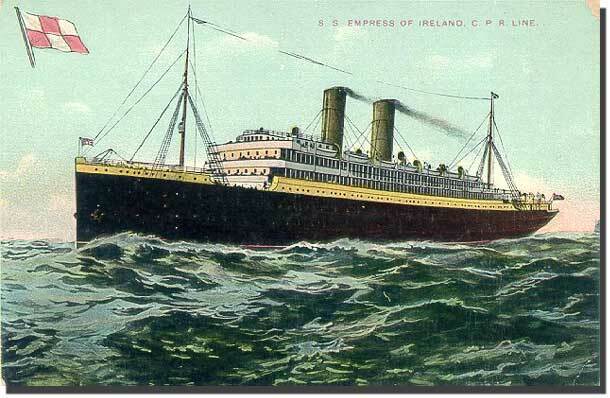 Amazingly, one man who survived would go on to also survive the RMS Empress of Ireland sinking. 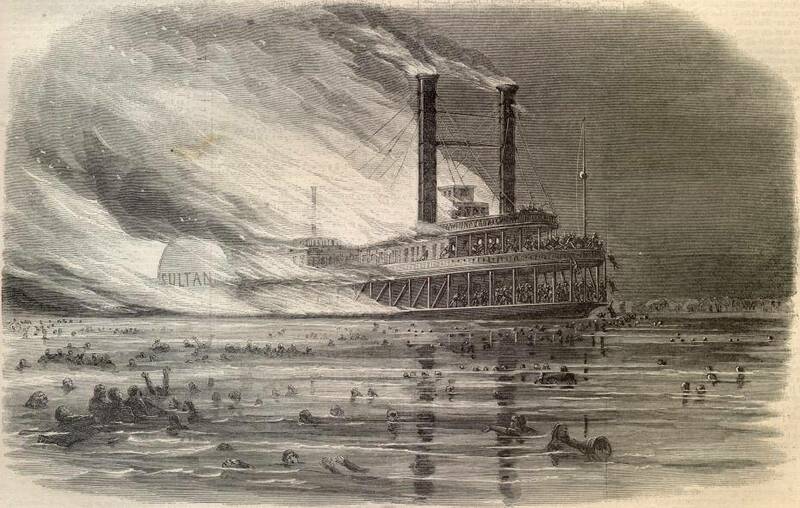 Despite still being the worst maritime disaster in US history, the explosion and resulting sinking of the SS Sultana was barely noticed at the time, as John Wilkes Booth had been killed the day before, and the Civil War had ended earlier that week. Three of the steamboat’s boilers exploded on April 27th, 1865. The ship was near Memphis, Tennessee at the time. The passengers that survived the initial blast, had to decide whether to risk staying on the burning ship, or entering the freezing water. As a result, most of the deaths were caused by either drowning or hypothermia. 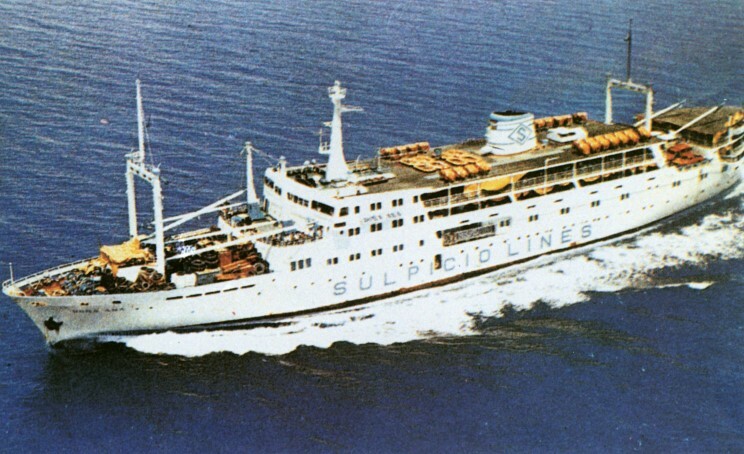 The Senegalese government-owned MV Le Joola was only built to carry around 500 passengers. Yet, when it set off on September 22nd, 2006, over 2,000 people were aboard. This led to the ship sinking when it encountered bad weather off the coast of Gambia. The ship capsized in only 5 minutes, throwing most of the passengers into the sea. Only one woman out of 600 aboard survived; Mariama Diouf, who was pregnant at the time. Most of the people aboard survived the capsizing, but died while waiting for help to arrived in the freezing water. On September 6th, 1917, Halifax, Canada was devastated by a massive blast, the largest man-made explosion until the first atom bomb was tested. It was caused by the SS Mont-Blanc colliding with the SS Imo not far off the coast. 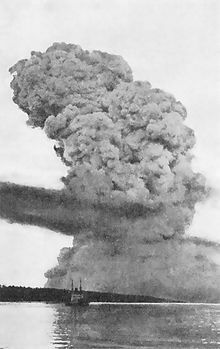 The SS Mont-Blanc, a French ship, was loaded with explosives, and caught fire immediately after the collision. Twenty-five minutes later, the ship blew up. The fire, resulting debris, and collapsing buildings killed around 2,000, although the official death toll is not known. The explosion also caused a tsunami in the Halifax Harbor, and a pressure wave of air that demolished buildings and snapped trees. A Chinese passenger steamship, the SS Kiangya blew up on December 4th, 1948. It is believed that the ship, which was carrying mostly Chinese refugees fleeing the Communist government, hit a Japanese mine left over from World War II. The death toll is not known, as the ship was carrying many stowaways, and the manifest did not list all the passengers who were aboard. The sinking occurred in the Huangpu River, north of Shanghai. 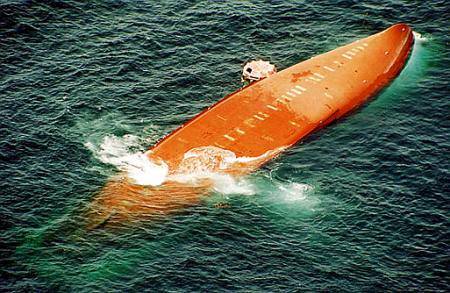 The worst peace time sea accident in history, the MV Doña Paz sank after colliding with another ship. The ferry was Philippine-registered, and was traveling to the country’s capital of Manila. The official death toll stands at 1,749, but the ship was carrying many more passengers than its limit, so the ferry company listed the number of passengers aboard as significantly less than there actually was. 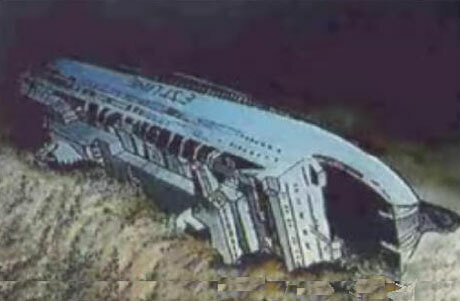 It is widely believed that the crash, which occurred on December 20th, 1987, killed in excess of 4,000 people. The life jacket lockers on the ship had been locked, so those who survived the crash had to leap into the shark-infested waters with only the clothes on their backs.